Ironically, however, it shows how much as a society we've become accustomed to the ideas of specific page numbers. 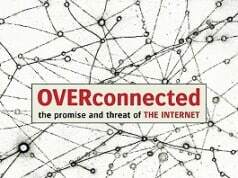 In the world of the Internet, blog streams and social networking sites, it's pretty much an antiquated concept. 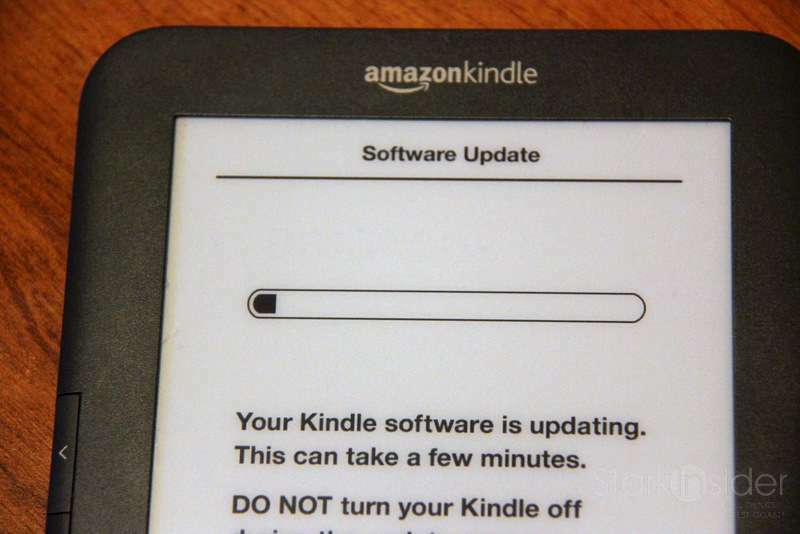 A software update (version 3.1) for the Amazon Kindle is now available and will be updating automatically to users over wi-fi. Those who want it right now, can manually get it via USB by following these instructions. 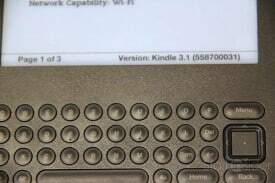 I ran the update on the Amazon Kindle 3 Wi-Fi and here’s my take below. 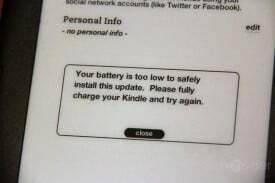 First, though, I had to deal with a dead Kindle. 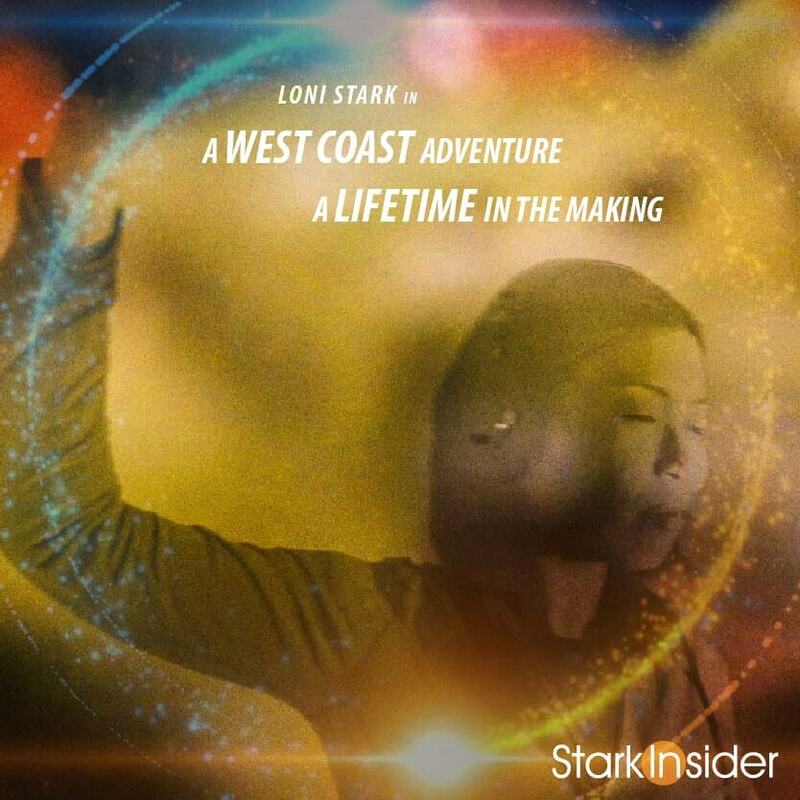 Turned out my doe-eyed wife Loni had not charged it for weeks on end. Virginia Wolf stared solemnly, but she would not budge. Sliding the power switch did nothing. So I plugged it in. Still, sliding the power switch did nothing, even after holding it for 15 seconds as Amazon help suggested. Eventually all worked out fine. It needed to charge it for about ten minutes. Then it came to life; upward and onward. 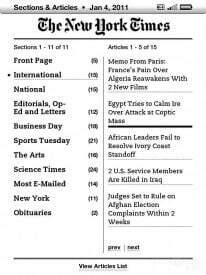 The new software update includes 4 key updates: real page numbers, public notes, easier social networking and ratings, and a new newspaper and magazine browsing layout. 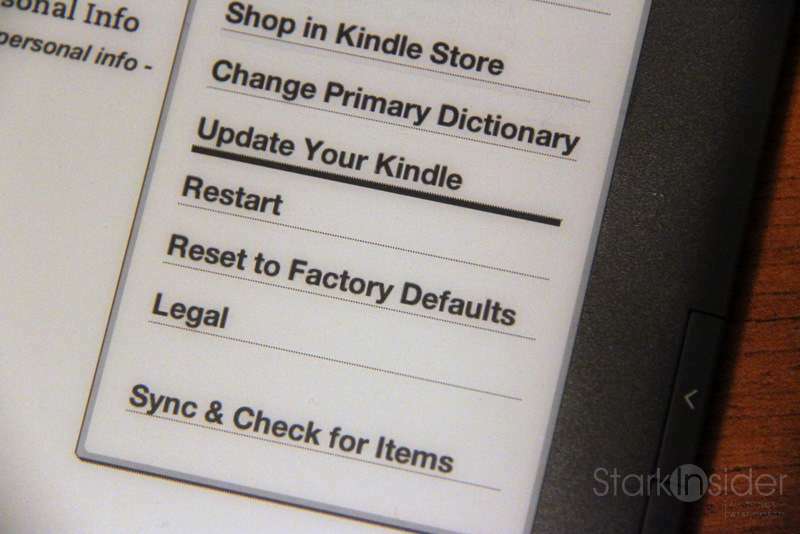 If you’re wondering which software version your Kindle is running, here’s the easy way to find out: From Home, select Menu, then Settings. On the Settings screen you will see the Kindle version at the bottom of the screen. In my case it was 3.0.1. 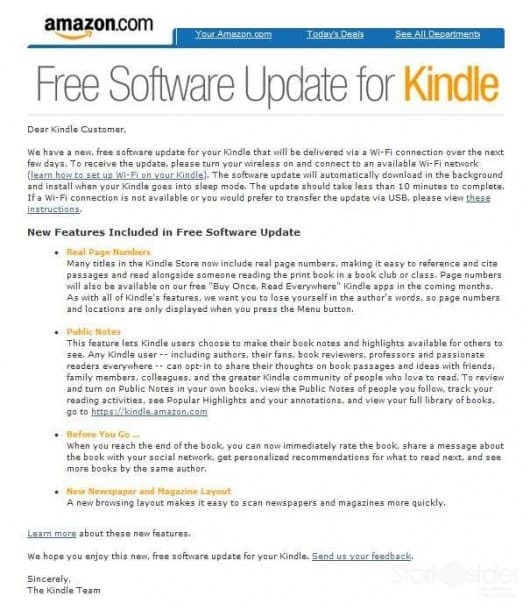 To get 3.1 I manually downloaded the update (24MB) from the Amazon site. 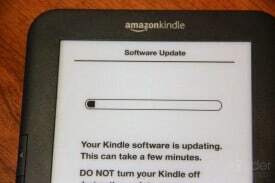 Then I used USB to copy the file to the Kindle and initiated the update (Go to the Home screen, press the Menu key, and select “Settings.” Press the Menu key again, and then select “Update Your Kindle.”). Will you sign my Kindle? 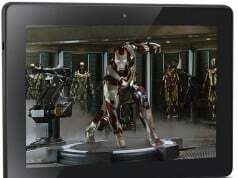 Do consumers prefer Apple iPad over Amazon Kindle? When I tried to install the update I was once again thwarted by a low battery warning. Word of advice, just charge the darn thing for an hour or so before installing the update. 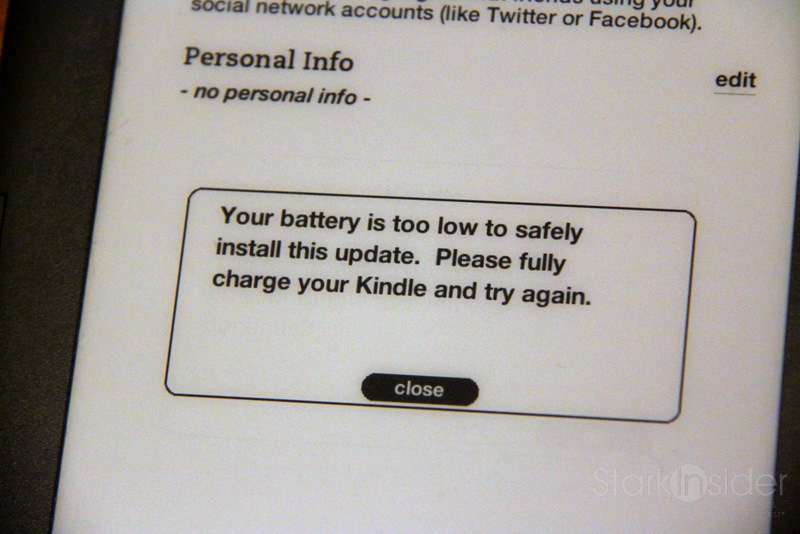 Kindle has long battery life, but it still needs some love from the grid every now and then. Finally! Yes, for some there is a certain new world romanticism with “Locations”, but nothing beats a good old page number. It’s what we all know, and it has definitive meaning. 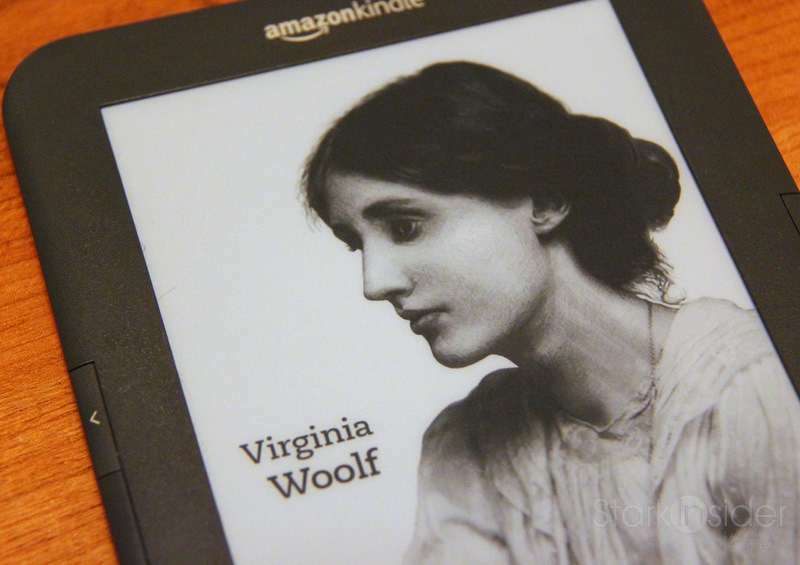 Pragmatically you can now share your favorite passages or reference content knowing that the page number on your Kindle will match the print edition. 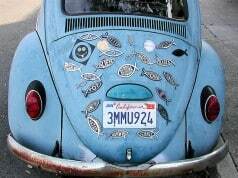 With 3.1, now you can take your pick: page numbers or locations. 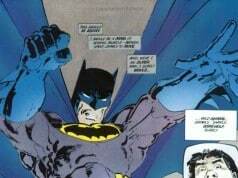 The book with the most public notes so far? That would be The New Oxford American Dictionary. 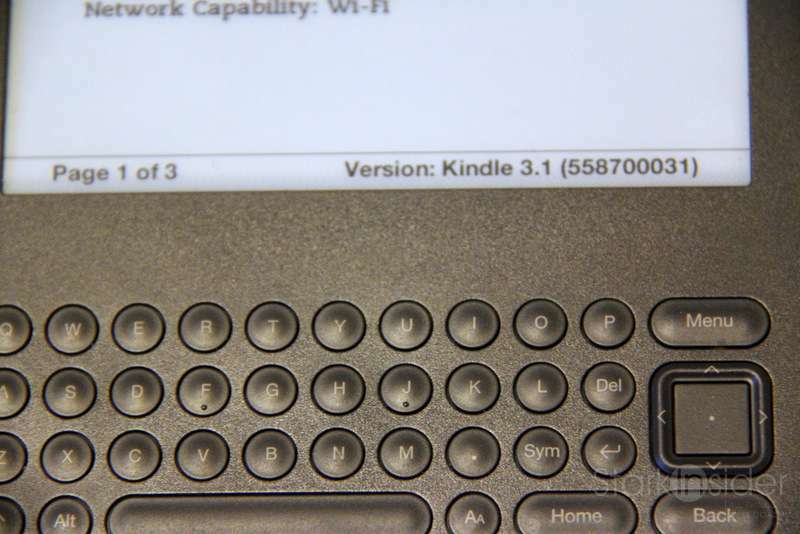 With 3.1, Kindle is aspiring to be more social. 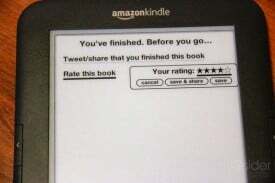 Now Kindle prompts you with a new menu, “Before You Go” at the end of a book that allows you to add a rating, share a comment, see recommendations, or view more books by the same author. Nothing overly ambitious here, just some minor enhancements — ones that I’d argue should’ve been here months ago. 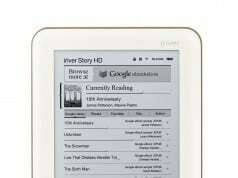 With this feature, Kindle is attempting to be something of an iPad. The results are still horrific unfortunately. 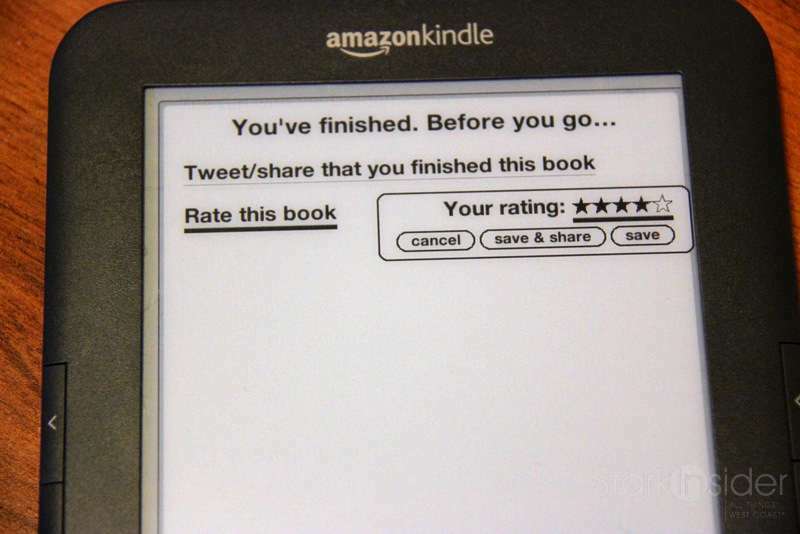 It’s just not a strength (… but Kindle… there are so many things that you do well… don’t fret). If you like reading newspapers and magazines, then the choice is simple: Apple iPad. But for reading for extended periods of times, the Kindle display is impossible to beat — unless of course it’s dark and you have no external lighting. A minor upgrade. 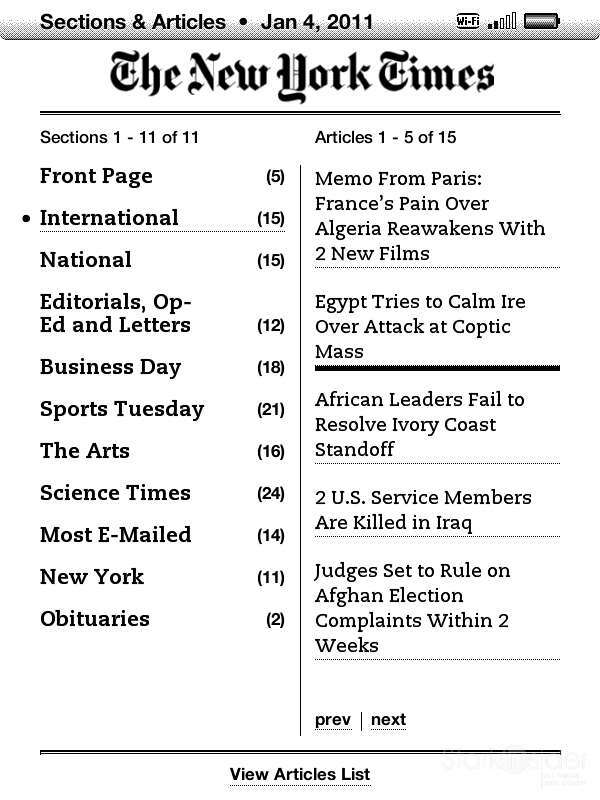 The big news is page numbers. Although it doesn’t matter to me I can see many finding this incredibly useful. For educational markets, it means students can be on the Kindle or print edition of the same book and follow along using the same page numbers. That’s a big step forward. Ironically, however, it shows how much as a society we’ve become accustomed to the ideas of specific page numbers. In the world of the Internet, blog streams and social networking sites, it’s pretty much an antiquated concept; Time keeps on slippin’, slippin’, slippin’ Into the future.